This final roundup of the publishing year includes famous names such as Grant and Hagel, and increasingly famous names such as Flo Groberg and Humayun Khan —men who show that immigrants serve their country, too. Our nonfiction reviews, in order of reading value and satisfaction (fiction lovers, head here). Prices are provided by the publishers; you may find better deals as the holidays approach. 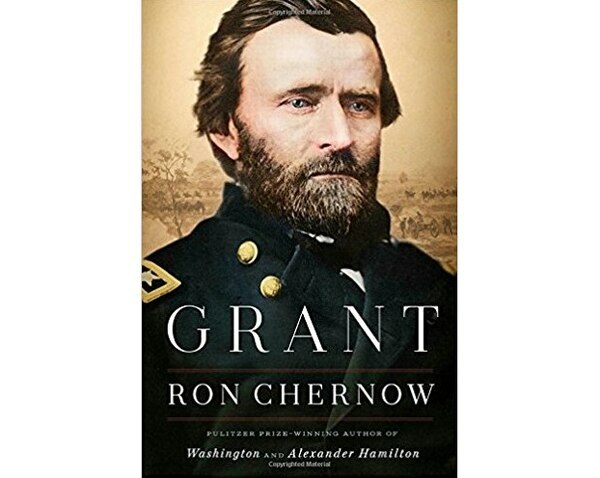 Grant by Ron Chernow, Penguin Press, 1,104 pages, $40. Acclaimed with prizes including the Pulitzer, the author dedicates his new biography “to my loyal readers, who have soldiered on through my lengthy sagas.” This one, about the nation’s 18th commander in chief, falls in place. Descriptions of secondary players (a cabinet member is “a tall, slim man with a balding pate, eyebrows that jutted over deep-set eyes, and a pencil-thin mustache”) are expendable. Given a first chapter called “Country Bumpkin,” subsequent reminders of Grant’s humble beginnings are tiresome. Grant perseveres despite a constant cigar (“an ultimately fatal addiction”) and lifelong financial losses. He is gullible, a man who “could recognize evil in his enemies but not in those who posed as his friends.” The Brooklyn Bridge was finished two years before Grant died in 1885, and you wonder if anybody tried to sucker him into buying it. His friends — not posers — include Frederick Douglass, Andrew Carnegie, who sends 63 roses when Grant reaches 63, and Mark Twain, who publishes the memoirs that preserve the Grant family’s fiscal status and the president’s reputation for brilliance. Besides cementing Grant’s stature, the book is a reminder that Chernow’s “Alexander Hamilton” is the inspiration for Broadway’s box-office phenomenon, the musical “Hamilton.” Imagine “Make the U.S. Grant Again” on a marquee. 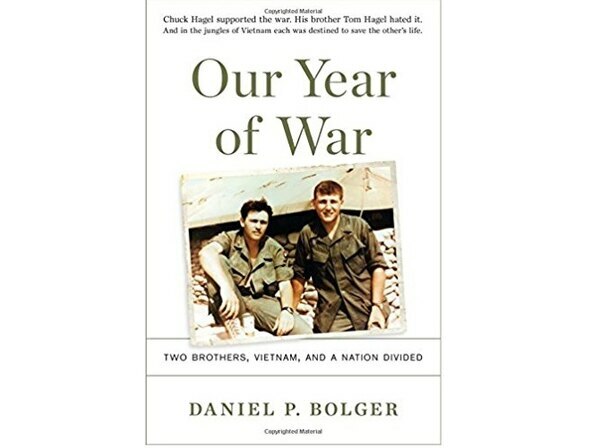 Our Year of War: Two Brothers, Vietnam, and a Nation Divided by Daniel P. Bolger, 336 pages, Da Capo, $28. The Hagel brothers — the older, Chuck, later is a senator and then a secretary of defense — are the subjects but the war is collectively America’s, yours and mine and “ours,” in Vietnam or back home. The book is an attempt “to explain the significance of the tumultuous events of the Vietnam War and 1960s America.” The author of “Why We Lost” in Afghanistan (he was there) fulfills his mission. The two soldiers are Tom and Chuck, serving and suffering in the same platoon. One is for the war, one is against it, and both fight in it. “So there it was. A superpower at war, a half million men in country, the famous 9th Infantry Division charging hither and yon applying ... patented ‘excruciating pressure’ to the enemy, and it came to this. 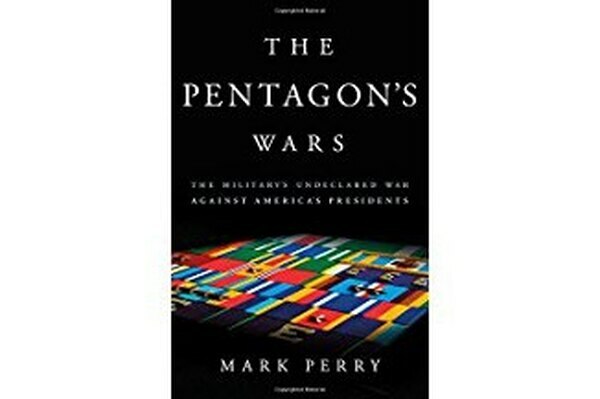 The Pentagon’s Wars: The Military’s Undeclared War Against America’s Presidents by Mark Perry, Basic, 368 pages, $30. Don’t be misled by the subtitle and begin to feel sorry for commanders in chief. They know how to fight, also. Besides, most of the squabbles in this “narrative account of the politics of war” are among friends — or so they think — in the Defense Department. Nobody at the Pentagon needs to cross the Potomac to have a spat. The historian’s 1989 “Four Stars” looks at senior commanders and their civilian counterparts from World War II through the Cold War, and this book takes readers through the end of Obama’s administration. Meow. Some readers will consider such a catfight as blasphemy. The examples are fun — until you remember that the stakes are serious. 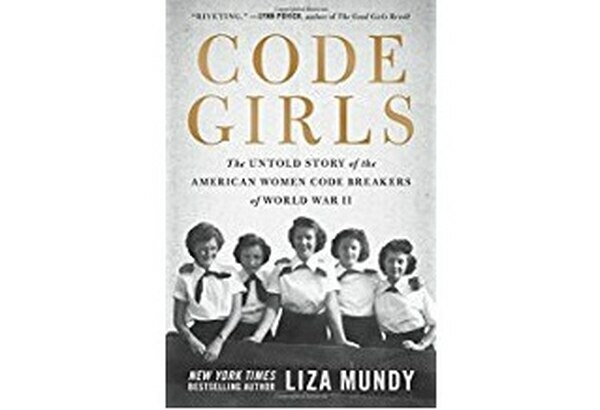 Code Girls: The Untold Story of the American Women Code Breakers of World War II by Liza Mundy, Hachette, 432 pages, $28. Women who helped bring victory achieve visibility, at last, in this history. Everybody knows about Rosie the Riveter, says the author, a former Washington Post reporter. But “far less well known is that more than 10,000 women traveled to Washington, D.C., to lend their minds and their hard-won educations to the war effort” — all at a time when “there was really only one job consistently available” to an educated female: schoolteacher. And being recruited to work secretly for 12 hours a day was not a feather on a woman’s hat. “That women were considered better suited for code-breaking work ... wasn’t a compliment. Yet some achieve recognition at the Army and Navy’s separate decoding shops, competitive “to a degree that would have been comic if it weren’t taking place in the middle of a war.” By 1945, 7,000 of the Army’s 8,000 code breakers are female, as are 4,000 of the Navy’s 5,000 in Washington. Their interpreting of messages from Germany and Japan makes a difference from Normandy to Midway Island. At 96, Dot Braden is finally able to tell her family what she did during the war. Ann Caracristi, the “peerless secret-keeper in every way” who becomes a deputy director at the National Security Agency, is buried beside her “longtime companion” — who also came to the capital in 1943. 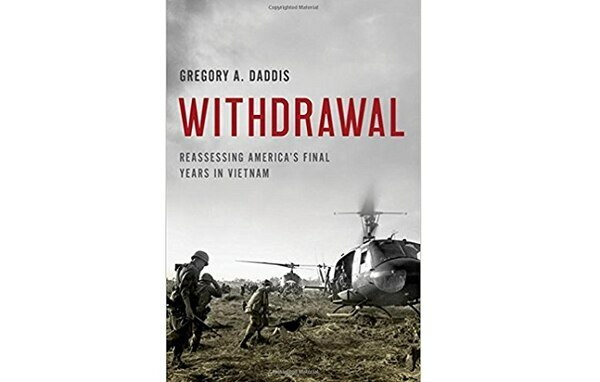 Withdrawal: Reassessing America’s Final Years in Vietnam by Gregory A. Daddis, Oxford, 320 pages, $30. 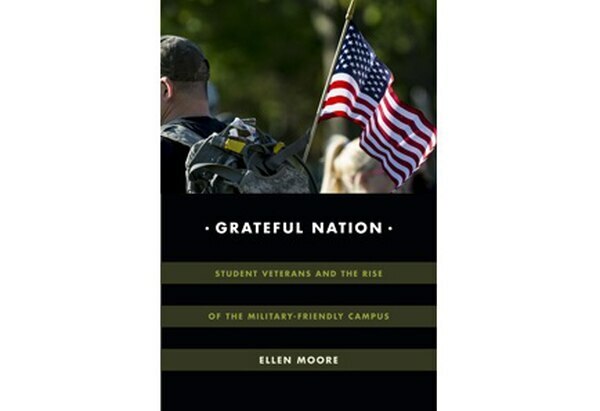 Grateful Nation: Student Veterans and the Rise of the Military-Friendly Campus by Ellen Moore, Duke, 280 pages, $26. After three years’ immersion primarily at unidentified California schools — an “elite” university and a community college — and interviews with at least 50 student veterans, what does she learn? 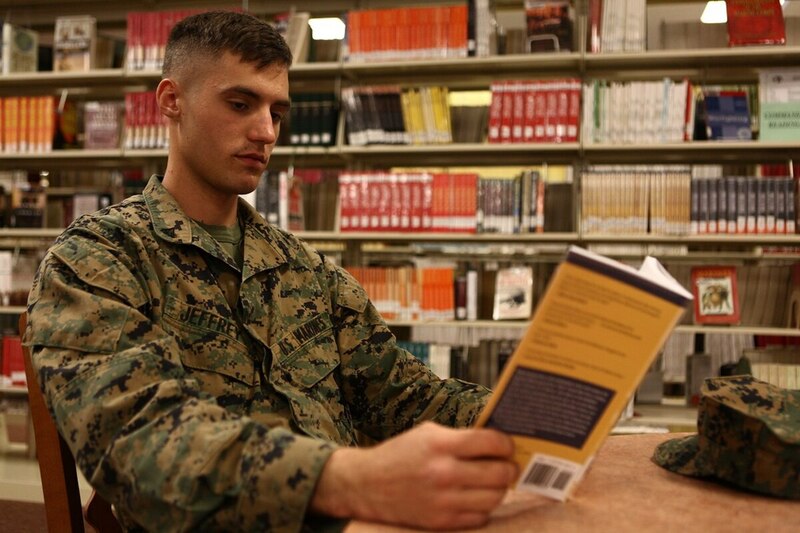 “Academic challenges are caused not by collegiate hostility toward the military but by multiple factors, including disjunctions between veterans’ military training and academic demands, and psychological trauma.” And many enroll “to make sense out of their psychologically disjointed experiences of war” … and to get a degree. “When ‘veteran friendly’ automatically comes to mean ‘military friendly,’ critical examination of the wars will be suppressed, and some veterans will be excluded” from criticizing wars they fought. 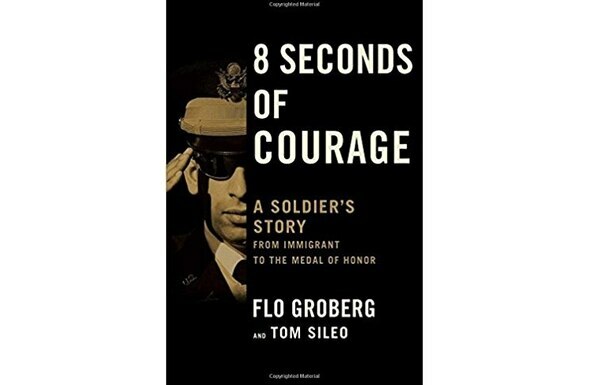 8 Seconds of Courage: A Soldier’s Story from Immigrant to the Medal of Honor by Flo Groberg and Tom Sileo, Simon & Schuster, 208 pages, $25. Instead, the measure is the time Groberg takes — on his first day as a captain — to confront a suicide bomber. His effort saves other soldiers’ lives, although the Medal of Honor recipient wishes he had done more, and his last day in Afghanistan is a prelude to recovery that includes 32 surgeries. The book illustrates how a French immigrant (his mother is Algerian) is full of American blood, and how a guy — whose first sentence admits his thinking about quitting Ranger School during the mountain phase — ends up doing the right thing. 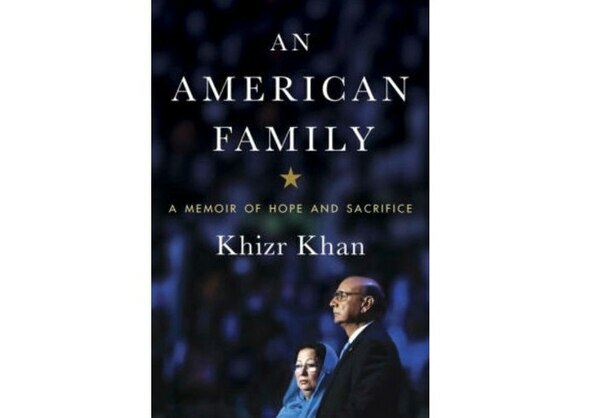 An American Family: A Memoir of Hope and Sacrifice by Khizr Khan, Random House, 288 pages, $27. Showing a pocket-sized copy of the Constitution was a Pakistan-born lawyer’s last-minute amendment to his two-minute speech at last year’s Democratic National Convention. The moment put Khan, the son of a farmer, and his wife, a descendant of Afghanistan royalty, on the political map for his rhetorically asking GOP candidate Donald Trump whether he had read the Constitution. The book is as plain and simple as Khan’s address and chronicles his leaving Pakistan for Dubai and eventually the U.S. To save money so he can send for family, Khan eats bread from a dumpster and sleeps in parks. But “I never felt that we were giving anything up.” Instead “I focused on what we were gaining” as citizens. The book is more about dad than son, but the soldier’s selflessness, even as a teenager, is touching — and represents American ideals worth emulating. Proceeds from sales of the book go to the Capt. Humayun S. Khan Memorial Scholarship at the University of Virginia. 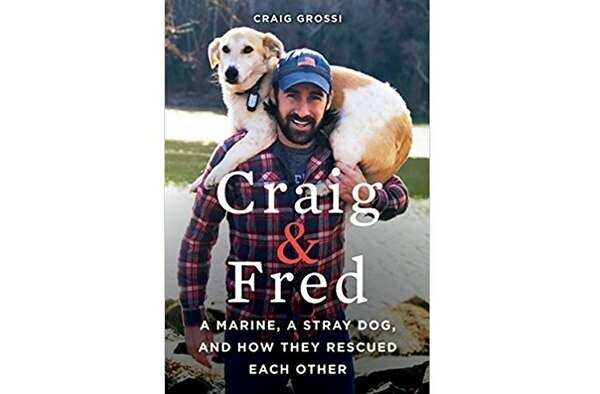 Craig & Fred: A Marine, A Stray Dog, and How They Rescued Each Other by Craig Grossi, Morrow, 288 pages, $26. A Marine’s best friend, or close to it, is his dog. In this memoir, a sergeant and a stray befriend each other in Afghanistan. Having a pet is outside regulations, but Fred provides an “escape from the combat zone we were in,” and he finds fraternity. Shipping a dog home is also a no-no — “I knew it wasn’t right” — but supportive shippers and forged signatures expedite the egress. Stateside, Fred’s behavior shows the wounded Grossi that “it’s not what happens to you that matters, it’s about how you make meaning out of those experiences,” and that’s the tale of this dog. The experience is also available in a young reader’s edition ($17). 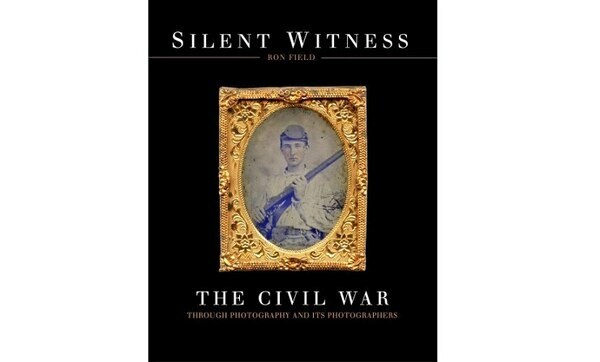 Silent Witness: The Civil Through Photography and Its Photographers by Ron Field, Osprey, 328 pages, $35. Handsomely reproduced portraits in ornate frames dominate the selection by a Military Images magazine editor who taps his personal archive for photographs that make the book stand out. The focus is on the men behind the camera, but the impact is in the faces of the mostly young soldiers who are most of the subjects. Except for references to the Smithsonian “Institute,” the coffee-table book is presented with care and class. 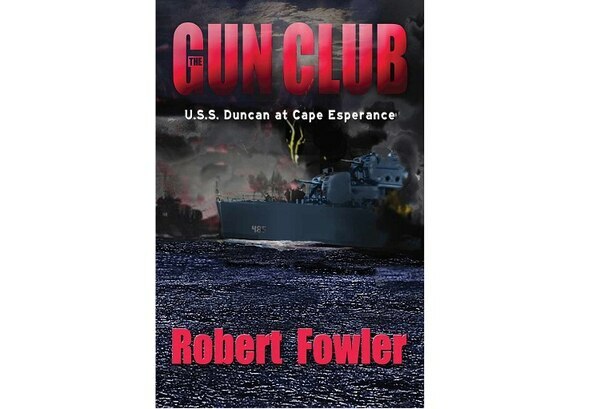 The Gun Club: USS Duncan at Cape Esperance by Robert Fowler, Winthrop & Fish, 366 pages, $16. He never met his father, Navy Lt. Robert L. Fowler, a newlywed Harvard rower who died when torpedoes sank the destroyer Duncan during a 39-minute battle with the Japanese navy off the Solomon Islands. 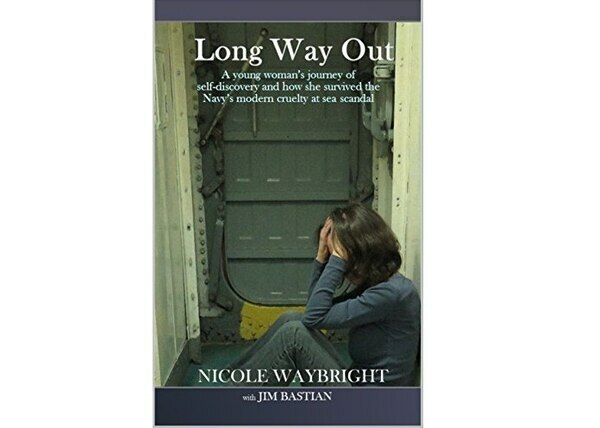 Long Way Out: A Young Woman’s Journey of Self-Discovery and How She Survived the Navy’s Modern Cruelty at Sea Scandal by Nicole Waybright with Jim Bastian, SpeakPeace, 552 pages, $18. When the destroyer Curtis Wilbur gets a new executive officer called Heather Astrid Gates — the acronym “HAG” — Brenda’s self-predicament gets no ballast from her bombastic boss (whose real name is thinly veiled). 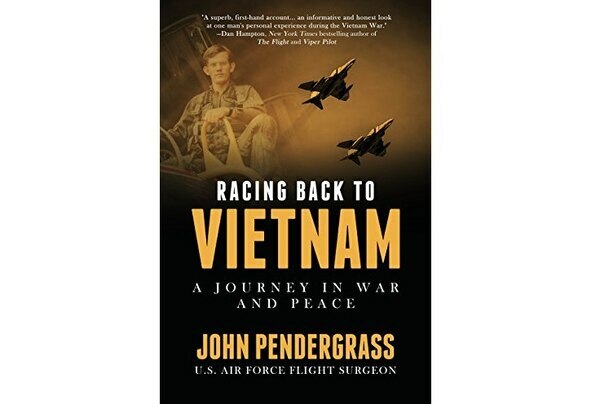 Racing Back to Vietnam: A Journey in War and Peace by John Pendergrass, Hatherleigh, 256 pages, $15. An Air Force flight surgeon occupies “the backseat of a workhorse fighter of the Vietnam War: the F-4 Phantom” and returns on a bicycle seat in a triathlon 44 years later. He finds that “relatively few of today’s Vietnamese can actually remember the Americans” but “everyone has a family story about the war.” His travelogue follows that model with impressions that are more personal than profound. 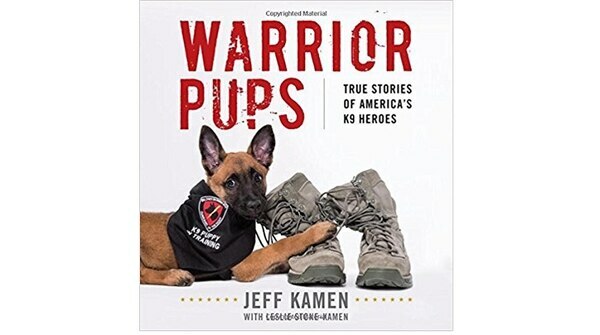 Warrior Pups: True Stories of America’s K9 Heroes by Jeff Kamen with Leslie Stone-Kamen, Lyons, 184 pages, $14. An airman is “a gentle soul with an easy smile and enormous love,” and that description typifies the rest of the happy humans and the language in this look-and-read book about people who work with Belgian Malinois military working dogs. The canines have names, but people have only “real first names and last initials” because “a famed American anti-terrorist” advises the author to protect identities. Nevertheless, their faces are recognizable in dull photographs that unintentionally show why cat videos rule the Internet. Endurance by Scott Kelly, Knopf, 400 pages, $30. The retired astronaut and Navy captain (just like his twin brother) presents the right stuff in his life, which includes a famous 340-day stint in space. My Lai: Vietnam, 1968, and the Descent into Darkness by Howard Jones, Oxford, 504 pages, $35. A history The New York Times Book Review says “is likely to become the standard reference work” about the killing of at least 300 villagers. Arthur Vandenberg: The Man in the Middle of the American Century by Hendrik Meijer, Chicago, 448 pages, $35. The uncle of General Hoyt S. Vandenberg (for whom the Air Force base is named) is a centrist Republican, and the biography shows how the senator builds bipartisan consensus ― now a rare concept. The West Point History of the American Revolution by the U.S. Military Academy, Simon & Schuster, $55. Full of illustrations including maps, this is the fourth coffee-table book in a pleasantly designed series that includes the Civil and World wars. The Great Halifax Explosion: A World War I Story of Treachery, Tragedy, and Extraordinary Heroism by John U. Bacon, William Morrow, 432 pages, $30. As the world fights in Europe, a U.S. munitions ship explodes in a Nova Scotia bay and kills 2,000. Pale Rider: The Spanish Flu of 1918 and How It Changed the World by Laura Spinney, PublicAffairs, 352 pages, $28. As if war were not devastating enough, a pandemic infects “a third of the people on Earth” and kills at least 50 million. Soldier & Spouse and Their Traveling House by Matthew Alan House, Gatekeeper, 180 pages, $17. The newlywed Army officer wife use off-duty weekends to play tourist and to share their adventures in this travelogue.